Lucifer seems to have calmed down a little bit. Is he telling her about everything that happened? What will her reaction be? 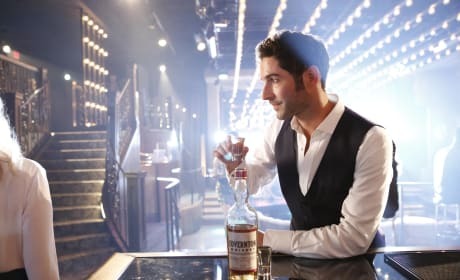 Is Lucifer toasting Dr. Martin for a job well done? She doesn't look too thrilled. Maybe she's wondering where her shot is? 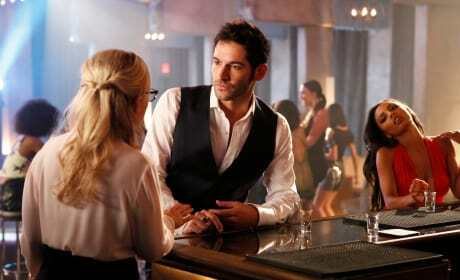 Lucifer doesn't seem too thrilled to see Dr. Martin. Is she trying to give him advice or just stopping in for a drink? It can't be an easy thing living with the fact that you killed your brother. Lucifer seems to be taking it hard. How long will it last? 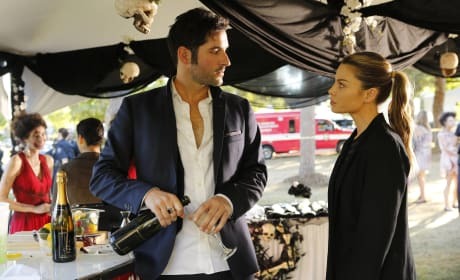 With Lucifer preoccupied, it looks like Chloe is going to have to depend on Dan to help her out. How awkward is that? 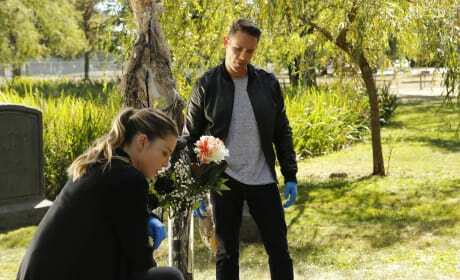 Chloe is getting her hands dirty investigating the case of the bride and groom. What exactly happened? Lucifer doesn't seem to be taking this case too seriously, especially since he's decided to drink during the case. Chloe won't put up with that behavior. Look at her face! 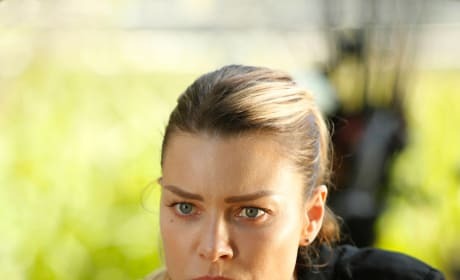 What's going on with Lucifer? Have you ever seen him looking so shabby? Still, he looks like he's having quite a good time with one of the bridesmaids. The groom looks worse for wear after whatever happened during his wedding ceremony. Will he ever get over losing his wife to be? It doesn't look like the bride is in too good of shape here. Is she dead? Not the way to start a lifelong relationship! 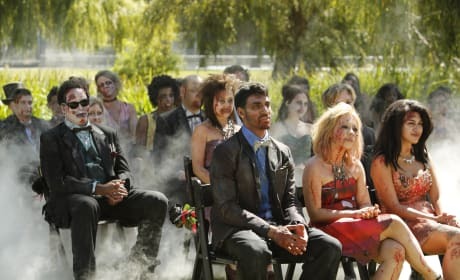 The guests sure seem to be enjoying the ceremony. They're certainly all in character. How do the parents of the newlyweds-to-be feel about all this? 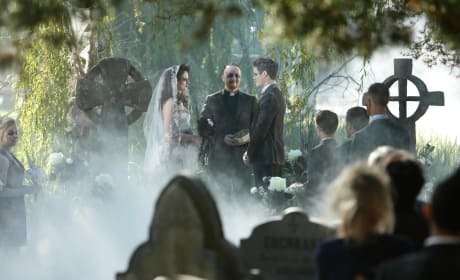 Having a wedding on Halloween seems like such a cool idea. The fog machine makes this scene even cooler.